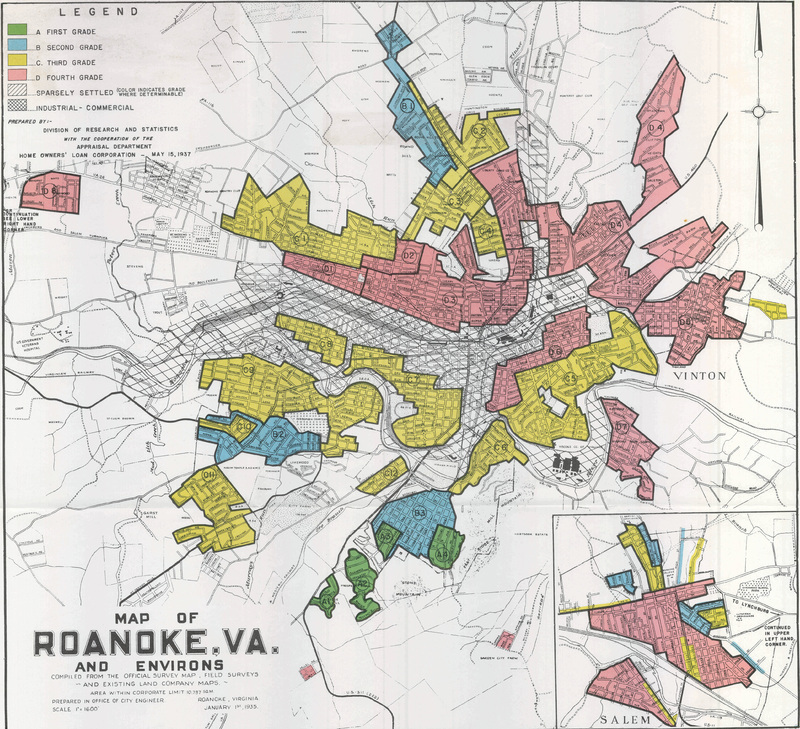 Redlining map of Roanoke, Virginia. 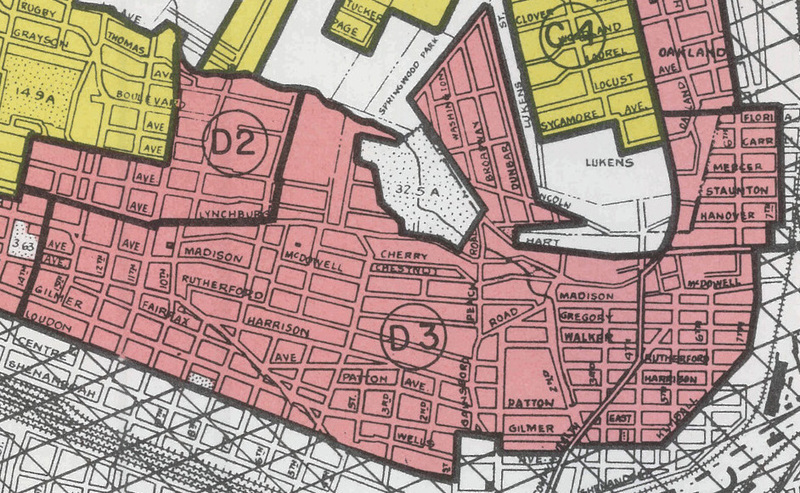 Loudon-Melrose neighborhood in Roanoke, designated as D3 by the HOLC. Rail has been central to Roanoke’s development and that of the Loudon-Melrose neighborhood, first built in the 1890s. In the 1920s a streetcar line from Salem reached the neighborhood and spurred residential development north of the Northern and Western Railway tracks and northwest of Roanoke’s downtown. Homes included a wide array of foursquares and bungalows for middle class and working class residents. As Roanoke grew, Loudon-Melrose became increasingly central and dense, featuring community institutions such as St. Andrew’s Roman Catholic Church and several Baptist churches. HOLC officials rated this area D3, undesirable for residences.